Dallas Datacenter & Advanced Hosting – Go for VIRTBIZ! We are proud to offer web hosting, dedicated servers, VPS and colocation from our Dallas datacenter. Our industry-leading low prices and absolute dedication to superior service should make us your first choice to satisfy your Internet needs. We will always provide better service, and usually do it for less money than our competition. One of the best parts of doing business with VIRTBIZ is our friendly USA-based staff is always ready to go the extra mile for our customers. Call us toll-free at 1-866-4-VIRTBIZ and tell us how we can earn your business today! On July 12, 2016, the European Commission deemed the EU-U.S. Privacy Shield Framework adequate to enable data transfers under EU law. VIRTBIZ maintains GDPR compliancy for its European- & UK-based customers via the EU-U.S. Privacy Shield program. Our registration is on-file with the Federal Trade Commission and may be viewed at THIS LINK. Customizable Dallas Colocation? Our Specialty. At VIRTBIZ, you’re not subleasing part of a cage or suite in another provider’s facility. 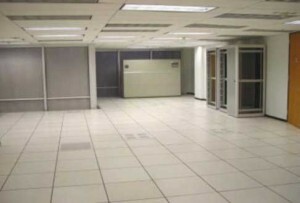 Our Dallas datacenter space is extremely flexible. We can mix and match just about any option available since we own the building, manage the facility and deal directly with the Tier-1 providers and utilities. Put our colocation datacenter to work for you! CLICK HERE to learn more about our colocation and datacenter capabilities. Don’t worry about where your colocation company will be tomorrow. The economy is troubling enough without having to worry about your colo facility not paying their landlord, leaving you locked away from your equipment. VIRTBIZ is part of a family-owned business with a 30+ year history in customer service and a strong financial track-record. If you have concerns about your provider, call us right now at 972-485-4125 or 866-485-4125 or email sales@virtbiz.com . We are specialists in “emergency migrations” and can expedite the entire setup process so you can sleep better TONIGHT! VIRTBIZ is a nearly 20-year veteran in the highly competitive Dallas hosting market. Our customer service really sets us apart from the rest. Although we can boast incredibly low prices, we truly believe that the word “value” means more than just “low price”. Value also includes really getting what you’re paying for and being treated the way a customer wants to be treated. That is a philosophy we take to heart.